The Rotary Club of Lahaina Sunset captured the Small Club of the Year Award again for the third consecutive year at the Rotary D5000 Conference held at the Four Seasons Ko Olina Resort on Oahu. 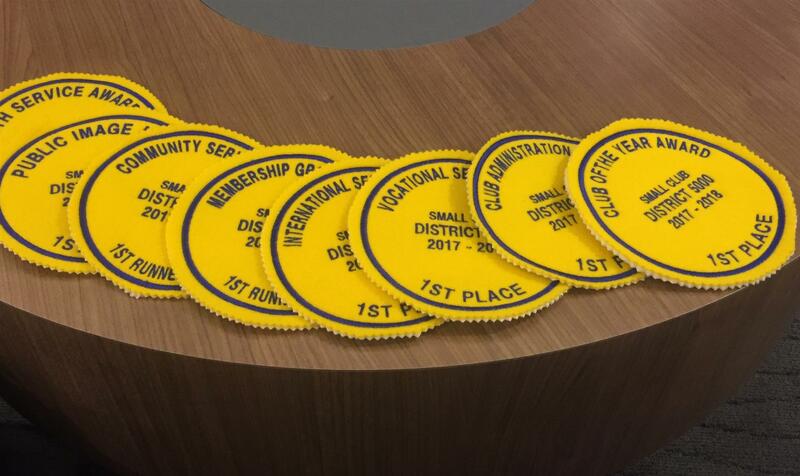 We will be celebrating all of these “award Frisbees” earned along with our scholarship winners and Vocational Service Award winners at the “Celebrations Meeting” on Tuesday June 19th. Stay tuned for more information about this great event to celebrate the good that Rotary does for our community and around the world! !